Sharon Schaffer assesses the nuances of National Eye Health Week! Here I sit behind at stall at Valentine’s Mansion during Age UK’s Older People’s Fair, as I sat last week behind a stall in King George’s Hospital, Ilford… and in Queens Hospital, Romford, pondering the nuances of National Eye Health Week. The main message of National Eye Health Week is to get your eyes tested regularly so that any eye conditions can be detected as early as possible and that sight loss becomes as preventable as possible. It strikes me as somewhat ironic that it is majorly the Sight Loss sector and Sensory Impairment Teams, (ie the charities and bodies that support people with vision impairment), that coordinate and undertake most of the awareness raising activities in this week. Surely the onus should be on Public Health to promote this major prevention campaign? Whilst I am delighted with the support Public Health reps involved in the Vision Strategy Groups in their borough have given to the local sight loss societies and Sensory Teams (that have organised a plethora of activities across the region – detailed by Chris in her blog a fortnight ago), I can’t help feeling that it should be them coming to us, instead of the other way round. Is it more or less pertinent to receive information on eye health from someone who is blind…and is a person with a vision impairment better of worse equipped to offer advice on sight loss prevention? Not sure how this might work on a local level, with recently announced cuts to the Public Health budget, but such a campaign could highlight the link between smoking, obesity and sight loss, and reiterate the fact that a sight test can highlight other health conditions, such as diabetes and high blood pressure…. Maybe, armed with this knowledge, we might overcome our hesitation about visiting an optician…. I know many people (my husband for one!!) who put off their eye test because they don’t want to be pushed into paying for overly expensive glasses. The ‘shop front’ nature of the high street optician is, undoubtably, a barrier to regular testing for many of us…. highlighted the strong relationship between optometrist practices and the sale of glasses and showed that the true cost of providing eye examinations is at least twice the amount paid by the Government via fees to optometrists. The sale of glasses, therefore, effectively subsidises sight tests by enabling optometrist practices to be profitable, which in turn, allows them to remain in business and carry on offering tests. I must say, that in my experience of dealing with optometrists, through my work with the Vision Strategy Groups, they are clinicians before they are salespeople, and much more interested in eye health than designer frames. The fact remains that currently over the course of National Eye Health Week it was mainly people involved in sight loss trumpeting the need for eye health, and at the same time blowing their own trumpet about the things they have put in place (peer support, activities, information) to support those that are living with sight loss. Hope to see you on the trail…. Posted on September 29, 2015 Categories UncategorizedTags Eye, Health, Life, National, Pondering, Schaffer, Sharon, WeekLeave a comment on Sharon Schaffer assesses the nuances of National Eye Health Week! “If you want to live a happy life, tie it to a goal, not to people or things.” Albert Einstein. I’ve always believed in dreaming big and pursuing goals, regardless of how lavish or difficult they may be! Whether it was daring to believe that I would be able to play Cricket for my country or to work for a prodigious charity such as Thomas Pocklington Trust. I have always dared to dream big and fingers crossed will continue to do so! My father always says to me: “You just don’t know how to give up!” witnessing the work we’re carrying out during this National Eye Health Week, I truly feel blessed to be working in the collaboration team, this has evidently allowed me to work for and alongside some inspirational people, not to mention having the opportunity of working for ELVis, who under 2 years have achieved so much. Talking of dreams and achievements, I’m so pleased to report that earlier this year ELVis successfully secured a place for the 2016 Virgin London Marathon! I’m all for promoting and supporting the Marathon as an event, but that’s as far as my loyalty goes, running is out of the question, I do wish I could run one but perhaps in another life! Although I am over the moon that we have chosen Ryan Jones as the candidate who will be running for us in the 2016 Marathon. 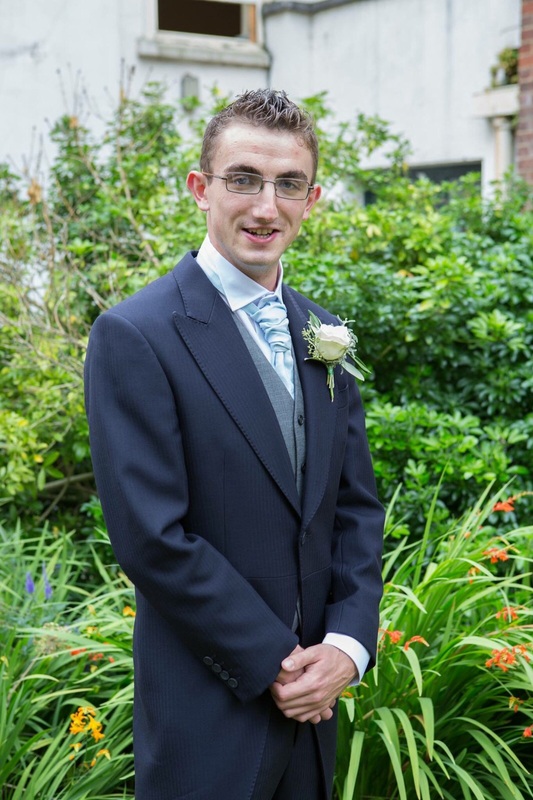 Ryan has won numerous accolades as a sportsman; he has represented the England Blind cricket team at the 2014 blind Cricket World Cup in South Africa and continues to play for Metro blind cricket team. He is an avid runner and can often be seen pounding the streets of Bermondsey. In his first Marathon Ryan achieved the immaculate time of 4 hours 28 minutes. However, the high-achieving Jones would like to smash the 4 hour barrier for East London Vision. Ryan is a hard working athlete and will receive support from ELVis and Physique Trans4mers with his training. Naturally we are delighted to welcome Ryan aboard and there will be further tweets, posts and blogs as he takes on this tremendous challenge. Your support will be much appreciated and Ryan will have a donation page up soon, so watch this space! Hi all and I hope I find everyone well. Let me begin by sharing some sad news with you, as Richard mentioned in his entry last week, Laura Ross who is the Service, Development and Delivery Officer is leaving us this week. :( I’d like to take the opportunity to wish her well in her move to Manchester and her new role. It has been a great pleasure in knowing and working with Laura. I know the local societies who Laura has been working with will miss her, I know they would like to send her their good wishes for the future. From the 21st September, each day next week there will be a stall at Queens Hospital from 10am – 3 pn. It would be great to see as many of you at the above events, why not bring your friends and family along with you and support this prodigious week. It is so important for all of us to look after our eyes and to get regular check ups. For further information about the events please visit our website and view our Events and Activities Calendar. Hi it’s Richard again; I hope everyone is doing well! I’m humbled that my entry is to be the first one on this new platform. Accessibility is crucial to Vision Impaired People and we moved from Blogger for that reason alone. I’d like to provide you with an update of my time with the ever so delightful ELVis team. In addition, with the national eye health week fast approaching, I thought it appropriate to also tell you a little about my own story about how I lost my eye sight. For most of my life I was actually fully sighted, I had the pleasure of taking on all kind of jobs. From deep sea fishing, hotel work, security to working for London underground as a guard and train driver. I did this for 26years of my life. I covered the prodigious central line, which obviously covers ELVis region, the Piccadilly line and the jubilee line. I was a busy man indeed, my work also stretched across the waterloo station and Canary Wharf and this is where I was retired on 14th February 2013. My life was certainly different and I enjoyed the hardship of my work with the underground, I faced many challenges which I’m sure the underground staff deal with still on a daily basis. In 2007 my sight started to deteriorate, I was sent to Newham Hospital and after some time I was told that my sight was likely to get worse, but that for the time being it would be stable. 3 years later, I was put on the register as severely impaired. Although on hearing this I was even more determined to fight and to understand my condition better. I have managed to live my life so far to the fullest and even along the way collected some amazing Vision Impaired friendly Equipment. On the 2nd of June 2015 I started work for East London Vision as an Intern for six months. It certainly has been an interesting time so far. I’ve had the pleasure of aiding my manager Laura Ross in attending local societies meetings to helping out with various events. Prior to the events I ring round ensuring the members are still available to attend events and meetings. It is sad to hear that Laura is moving on, but I’d like to wish her the best of luck with her new job. With National Eye Health Week approaching, regardless of who you are I’d urge you to get an eye check. I believe Charities like ELVis are valuable to Vision impaired people living in East London. As with all charities, despite applying for a range of grants, commercial sponsorship and generating income through commissioned services, ELVis relies heavily on the generosity of individuals to enable us to deliver the wide range of services to improve the quality of life for blind and partially sighted people. Every penny raised goes directly towards improving the quality of lives of Vision Impaired people, so please donate today! So that we can continue to provide a high standard of service to blind and partially sighted people.